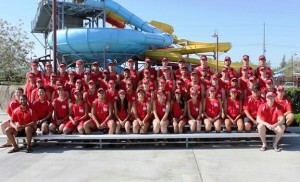 PALMDALE – The city of Palmdale’s recreation and culture department will begin accepting applications today, Monday, Feb. 4, for Program Leaders and Lifeguards for its summer activities. For more information, call 661-267-5611 Monday through Thursday from 7:30 a.m. to 6 p.m.
3 comments for "Palmdale’s summer job recruitment begins today"
Seems like they hire hand picked teens, the children of people they know. Those traits are not easy to find today.